Since 1539 were registered 49 tsunami in Central American region. 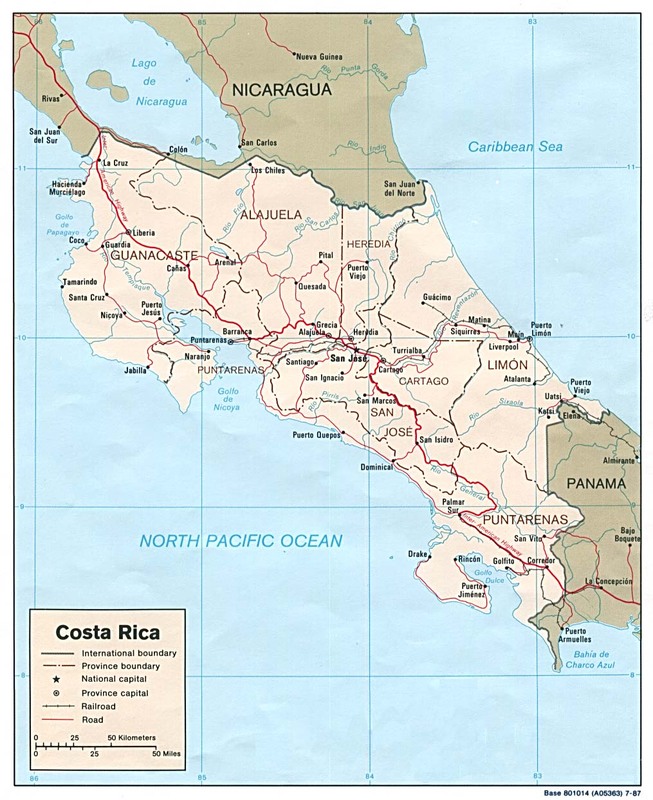 Costa Rica was hit 15 times on caribbean side and 10 times on Pacific. The biggest devastation, tsunami caused in 1854, when it destroyed region around Dulce Bay. In 1992, after the 7,2 R earthquake off the Nicaragua shore, a 9,5 meter high wave reached Guanacaste province shore, pushing aground vessels. In the hill north of Arenal lake, a giant tree has been investigated. La ceiba [Ceiba pentandra] is 60 meters tall with enormous 60-meters wide crown. According to botanists is 500-550 years old and "remembers" times of Columbus. It was counted to bear 30 species of orchids, 18 sp. of bromeliads and 13 ferns species. In Poland is opening the first Museum of CR in Europe. Please, if U have postcards, stamps, maps, telephonic cards, newspapers, coins, pictures, old books, shields, flags, music in one word anything related with your country and U can send it, please write to me: kostaryka1988@poczta.onet.pl. Located in San Jose, the Hemingway Inn is close to all the museums, restaurants, shopping and nightlife. It`s one of the most photographed buildings. Warm ambiance and jungle surroundings are accented with Mayan statues, rosewood decore and Costa Rican art. POR FAVOR AYUDANOS. PLEASE HELP US! In 2002, the percentage of women municipal legislators in Costa Rica was unmatched by any other democratically elected national legislature in the world. In that year the percentage of women elected to municipal offices reached 47%. In 2004 a total 42643 foreigners were rejected at border crossings and other ports of arrival to Costa Rica. A majority of the foreigners were Nicaraguan, followed by Panamians and Colombians.